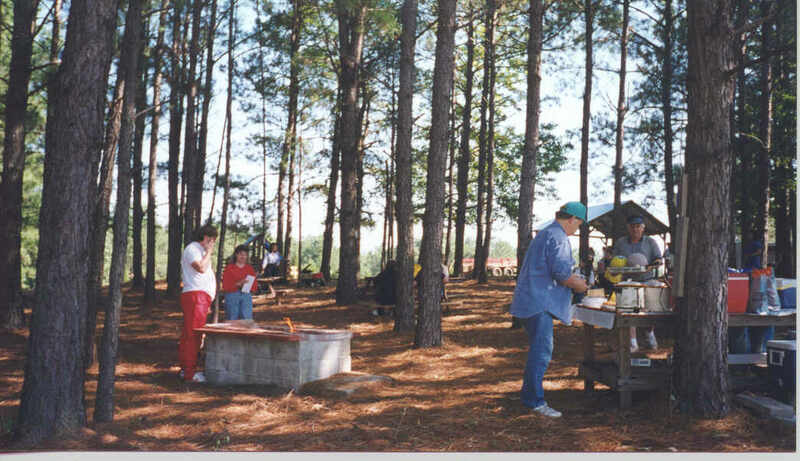 Activities at the farm are designed for children and their families. 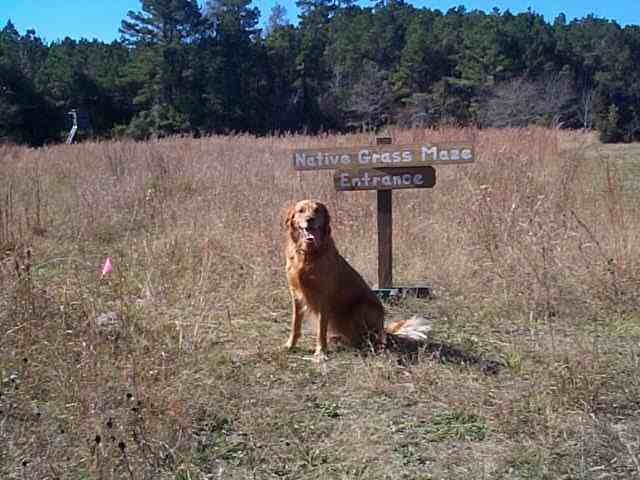 They allow one to explore, develop new experiences, learn about the history of Texas and experience nature first hand. 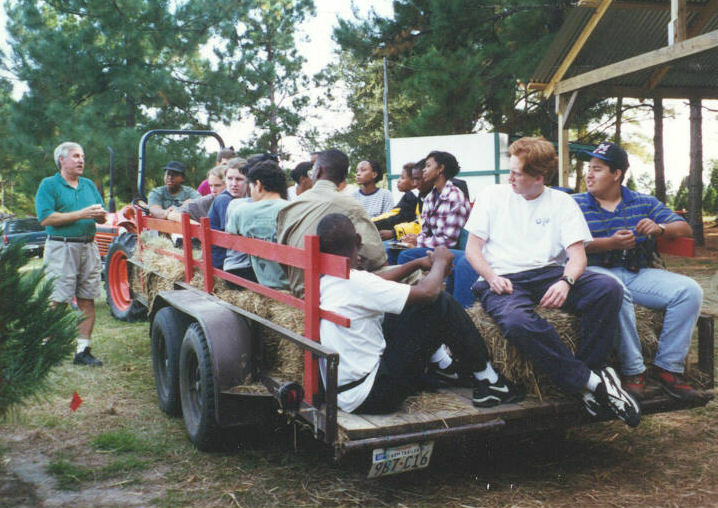 The hayride includes a hay wagon ride around the field . For some rides, we stop to talk about how Christmas trees are grown, the equipment used and the care necessary in order to achieve the perfect tree. 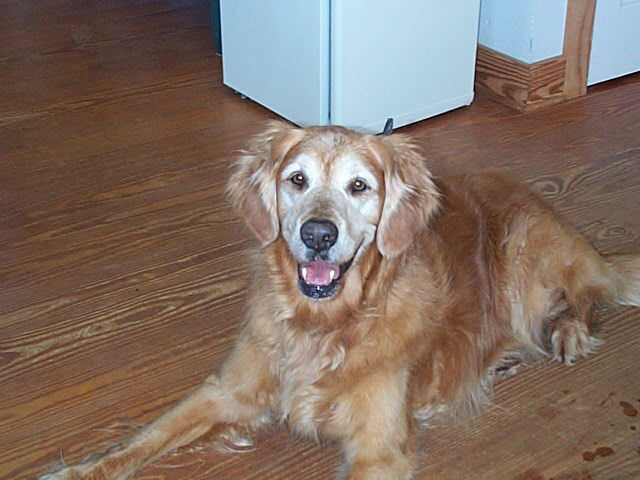 We do try to vary the topics to keep the interest of our younger guests. A favorite topic with appropriate props is the one called "snakes"! Mill Hollow with the Christmas tree fields, steep hills, running creeks and adjacent forests is very scenic. Do remember to bring the camera for that special picture to remember this trip. 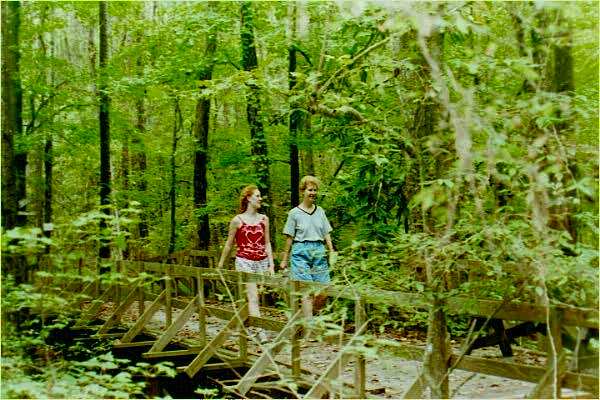 The trails are throughout the farm and meander through the hills and valleys of this heavily forested area. 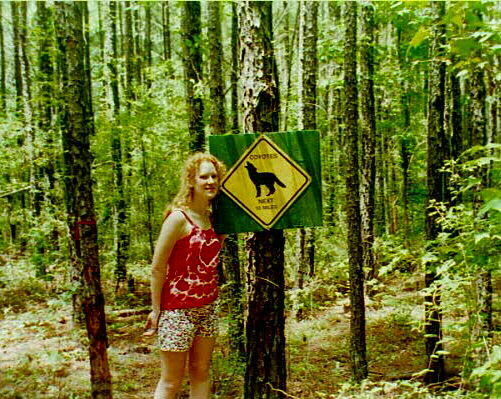 Signs are strategically placed to identify the various species of plants and trees and to tell what they were used for in the old days. Signs also identify historical landmarks relating to Snow Town and the Old Oakhurst Mill. 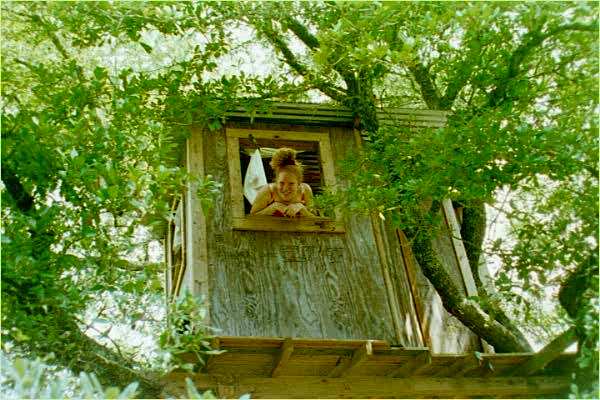 A tree house in an old pin oak tree easily accessible by stairs is open to children of all ages. You are never too old to explore a tree house. 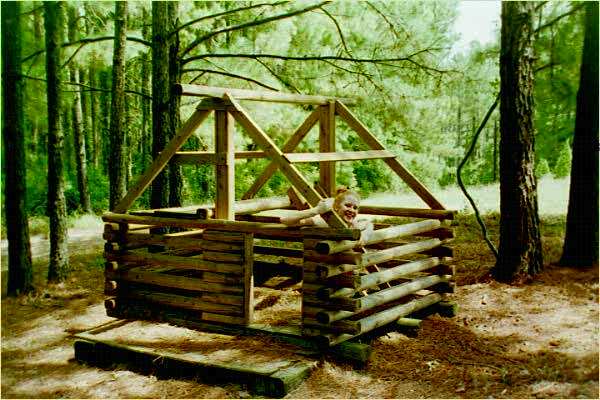 This play house is a favorite of the very young who like to crawl, climb and dream. 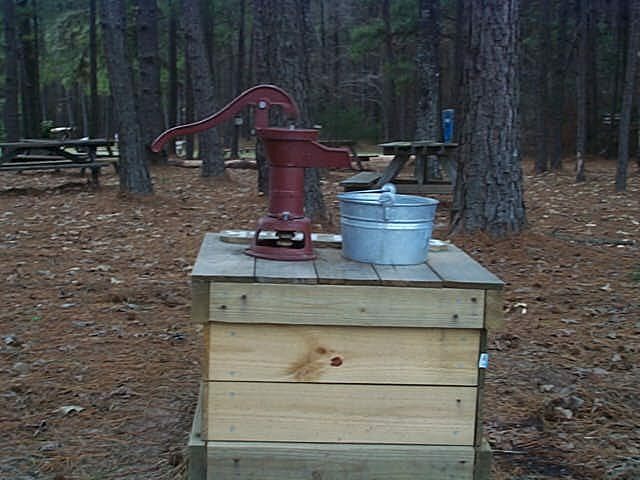 Picnic tables and benches are nearby for the parents to watch their children enjoy this adventure. 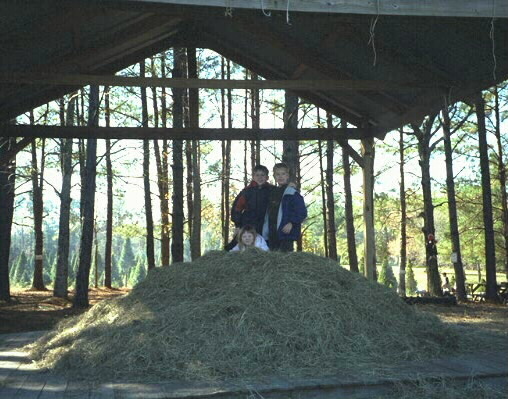 A loose pile of hay in a covered and floored area can be used for play even if it is raining. Some children will make nests, others will just lay in the hay and dream and other will use it for their make believe adventure. Up and down, up and down, your child will pump the handle and out will come water. This is definitely more fun than turning on a faucet . Please do not drink the water. 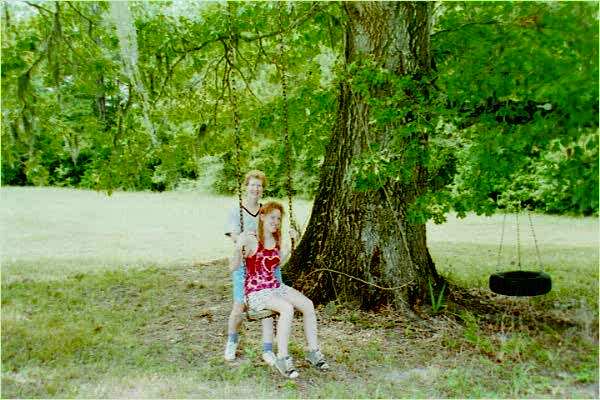 These swings are located in a huge oak adjacent to the Christmas tree field. This is also one of our highly photographed locations and has graced many a family Christmas card. 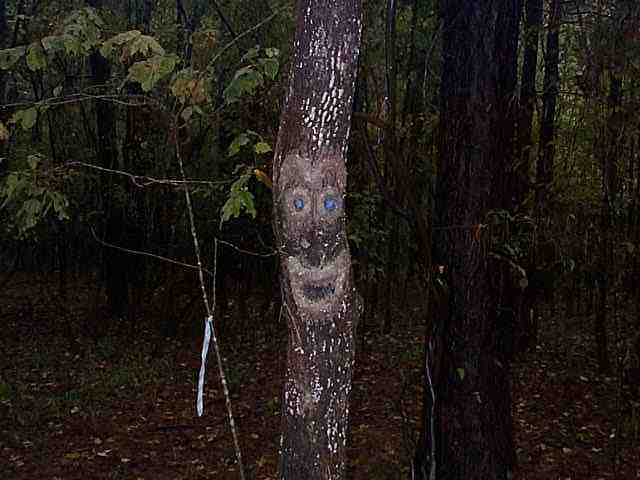 The trees will be looking at you. Some of them may even be making faces at you. Look closely, you may see one of Mother Natures critters crawling up the tree next to you. After you do this trail, you will know why this old growth area was bypassed by the loggers of olden days. 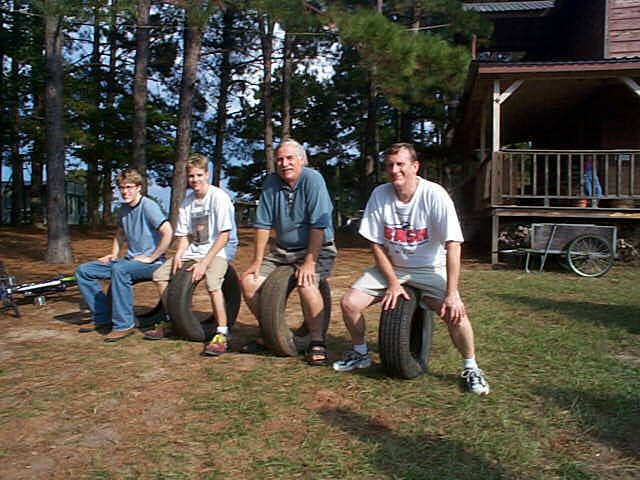 Whose tire will roll the farthest? You can not touch it after it rolls past the start line. However, you must bring it back to the start line. This is not skill but luck on what path the tire will take down a very gentle slope. If your tire wins, you mark the spot with a huge orange ball for others to see and attempt to beat. Every child remembers her first tricycle. 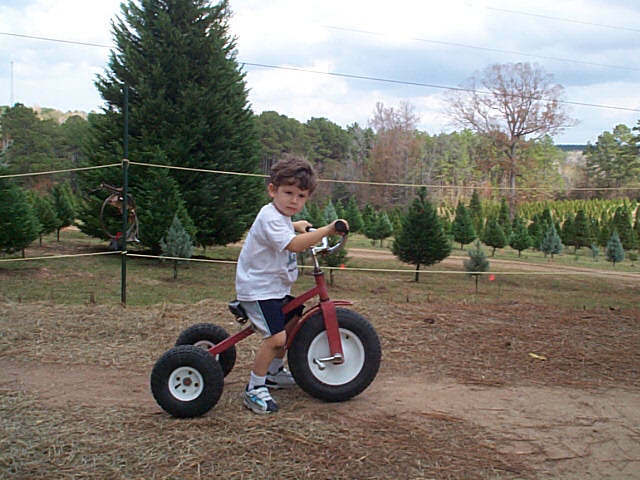 Well, many will enjoy their first tricycle ride at Mill Hollow Christmas Tree Farm. A flat hard surface course has been set up for the child to pedal away and see where the path leads. We have for our customers free hot dogs, buns, baked beans and potato chips while supplies last in a park like setting. Adults must roast the hot dogs for children. Oh yes, do not forget to roast your own marshmallows for dessert over a pine log fire. Soft drinks, candy, marshmallows and cookies are available for purchase.